Get the full control over your CMS pages and blocks with the CMS Revisions Magento 2 module by Plugin Company. This extension provides tons of new possibilities. For instance, you can easily backup both CMS pages and blocks with every save and restore them with just one click. Below, we describe the Plugin Company CMS Revisions Magento 2 extension shedding light on its backend functionality. The module has several key missions. First of all, CMS Revisions is designed to prevent store content deleting. 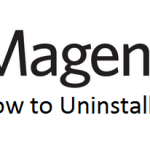 If you’ve accidentally deleted any page or block the Plugin Company CMS Revisions Magento 2 extension allows you to restore it. Next, you get a perfect opportunity to avoid messing up the layout of your Magento 2 store front. The module will always help you keep everything as right as rain. In order to achieve both goals, the Plugin Company CMS Revisions Magento 2 module backups all the necessary content. 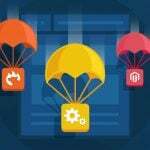 As a result, you keep multiple CMS versions and if something is accidentally deleted or your store turns into a content pile, the module provides the ability to restore the cleanest and fully featured version of all CMS blocks and pages. 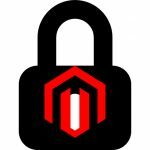 After installing the Plugin Company CMS Revisions Magento 2 extension, you will get two new grids: with page revisions and with block revisions. All revisions are saved automatically each time you apply new changes. The Page Revisions grid allows you to restore, preview, and delete each revision. All three actions are available in the Action column. As for other information, it is divided into 7 more columns: Title, URL Key, Layout, Status, Admin User, Created, and Is Current. As you can see, the grid allows you to view when and by whom the revision was made. Besides, you can filter our necessary revision by clicking on the head of table. As for Block Revisions, this grid allows you to edit, restore, and delete blocks. The grid also includes such columns as Title, Identifier, Status, Admin User, Created, and Is Current. We think that Plugin Company provides a very useful tool that will be especially helpful for ecommerce websites with constantly changing content. 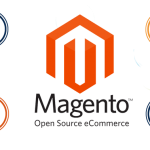 The CMS Revisions Magento 2 extension offers an opportunity to avoid some problems common in case of content management related to CMS pages and blocks. Note that the price of the Magento 2 module is just €79. For this money, you will also get a year of free updates and support, high quality code, as well as extensive documentation. Note that the Magento 1 version costs just €39!